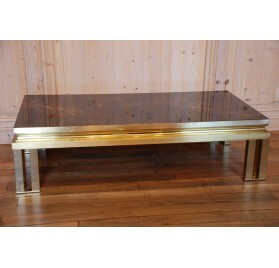 Coffee table 70s, bronze structure and gilded glass top. Groove belt and feet worked. 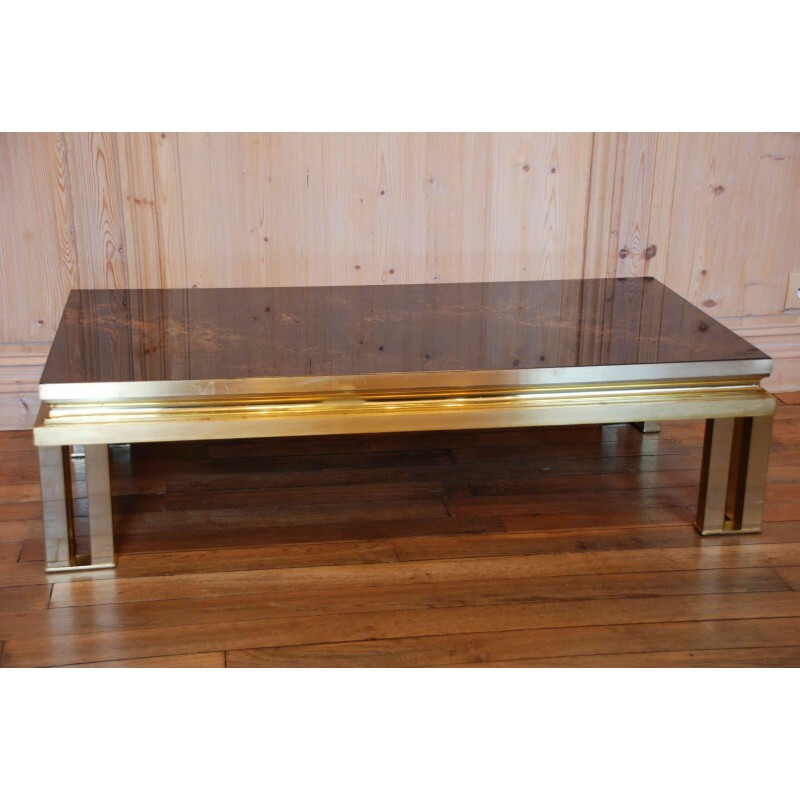 Beautiful rectangular coffee table. Gilded bronze structure and gilded glass top. It stands on four feet. 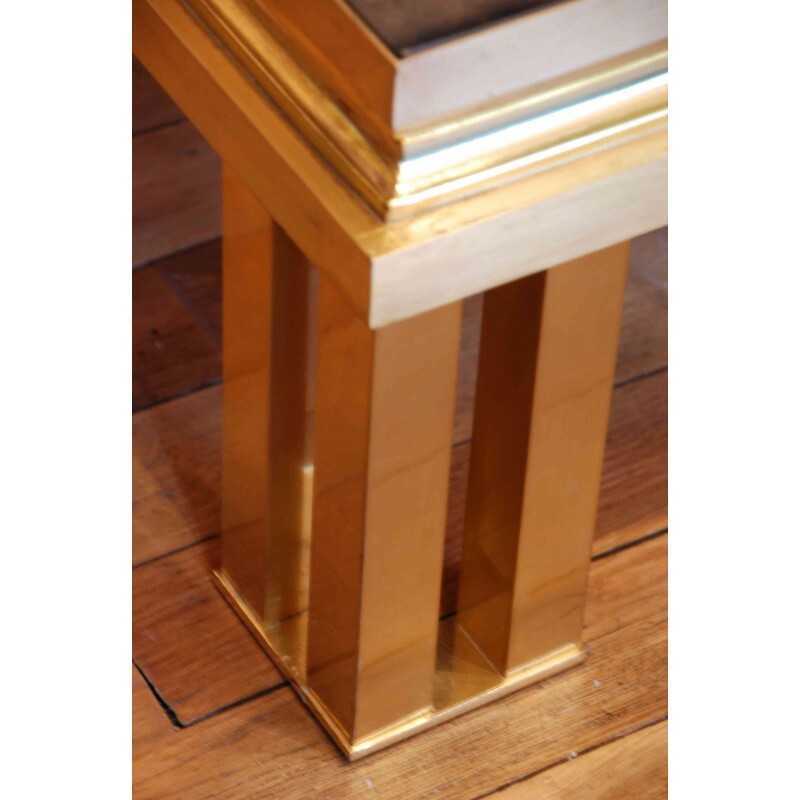 Each foot is formed of three square columns, arranged at an angle and terminating in pads. Art Deco style, built circa 1975. 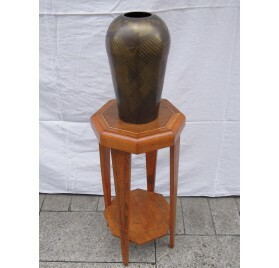 Octagonal Art Deco cradle in marquetry.20th century. 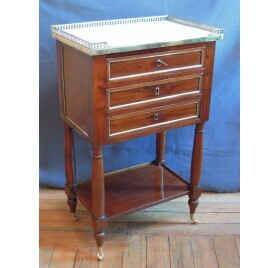 Nightstand Louis XVI era.Solid mahogany, marble plates, horizontal curtain opening. 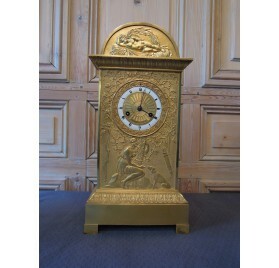 Gilt bronze mantel clock representing the allegory of fidelity.Work dating from early 19th century.Pendulum roadworthy, revised. 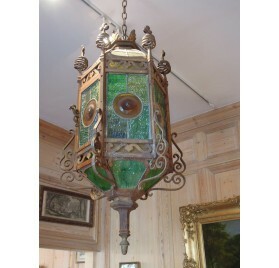 Hexagonal Lantern by Mr. Bodart.Presented at the Universal Exhibition in Paris in 1878.Work dating from 19th century, glass and wrought iron. 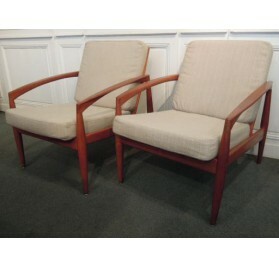 Pair of teak armchairs Danish: model 'Paper knife' Kai Kristiansen.Published by Magnus Olesen, circa 1955. 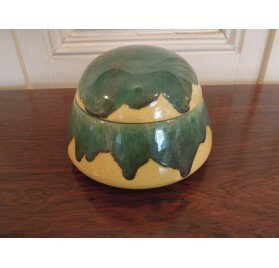 Art Deco glazed ceramic candy box by Lacheny. Glazed ceramic candy box by Lacheny.Art Deco period work. 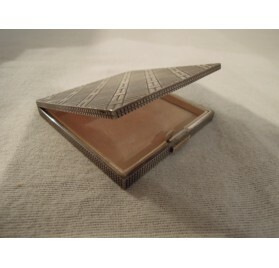 Art Deco sterling silver compact powder.Boar's head punchWork of the 20th century, Art Deco period. .8 hooks and 1 shelf, 80s. 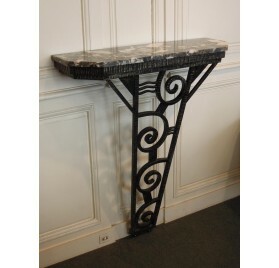 Small Art Deco console, with marble top and pedestal base in wrought iron and weathered.Work dating from Art Deco period. 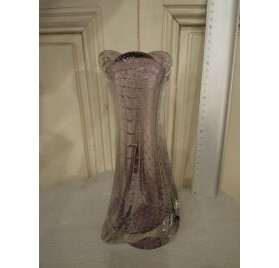 Violet vase of trilobal shape.Bubbled crystal from the 70s or 80s. 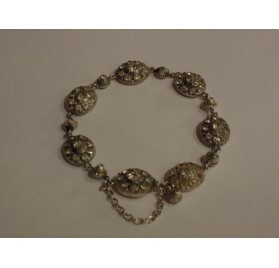 Norman jewel: small bracelet of Saint Lô, in silver and strass.Work of the 19th century. 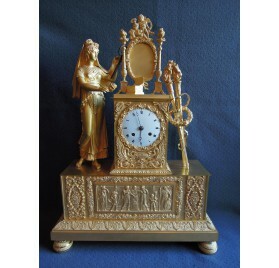 Gilt bronze clock, setting of a bride in front of her mirror.Beautiful gilding overall, revised clockwork.Small accidents and a lack of gilding.Work of the early nineteenth century. 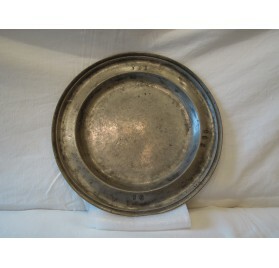 Pewter dish from Saint-Germain-en-Laye.18th century. 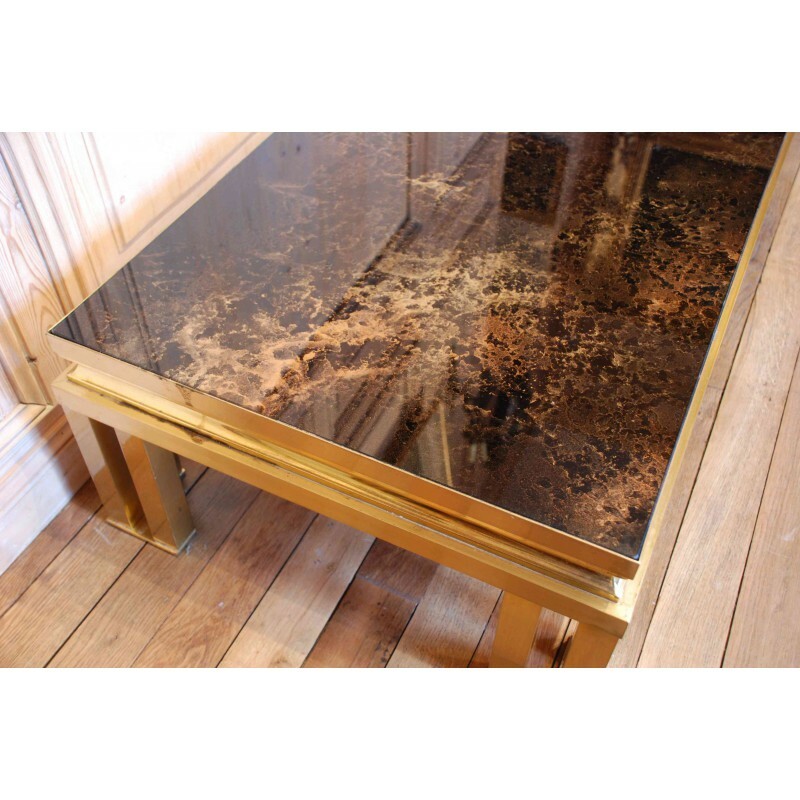 Large Art-Deco table, stone base and travertine plateau.Quality work attributed to Jean-Charles Moreux.First half of the 20th century. 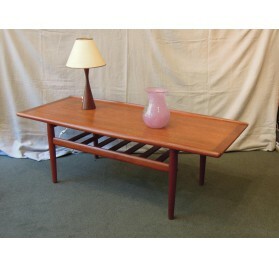 Scandinavian furniture: beautiful Danish teak coffee table 60s.Design Grete Jalk, edited by Poul Jeppensen. 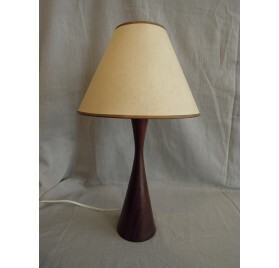 Vintage Danish table or bedside lamp.Teak body and old lampshade. 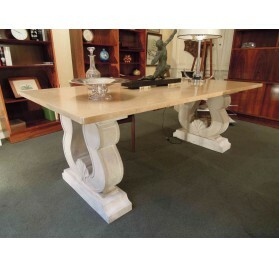 Chest mahogany and mahogany veneer opening by three drawers and white marble top.Work from late 18th century. 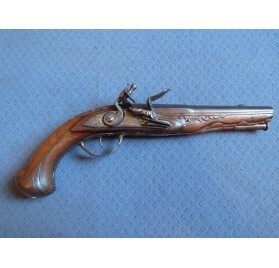 Round barrel flintlock pistol. Deck signed by Antoine Dumarest.Gooseneck dog.1780, good condition. 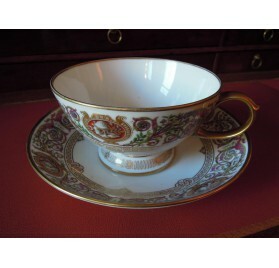 Sevres porcelain teacup. 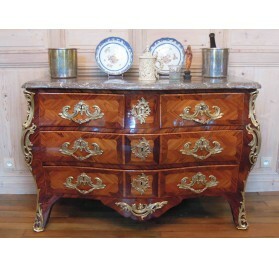 Patterned of the Hunts from Fontainebleau castle service set. Rosewood veneer chest of drawers, stamped Boudin.5 drawers in 3 rows, beautiful bronze ornements.Royal red marble top.Work from Louis XV period, 18th century. 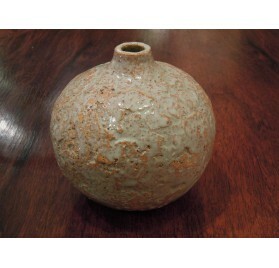 Vase ball (or soliflore) in enamelled stoneware.Signed Quillivic R below.Work of the 70s. 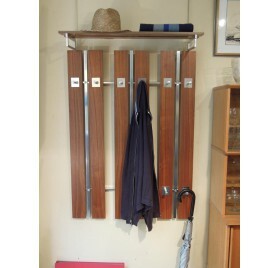 Danish magazine rack designed by Kai Kristiansen.In Rio rosewood and suede, it was edited by Sika Møbler in the 60s. 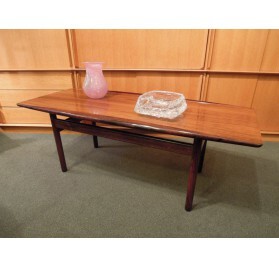 Rio rosewood coffee table.Design by Grete Jalk, edition by Poul Jeppensen.End of the 50s or begining of the 60s. 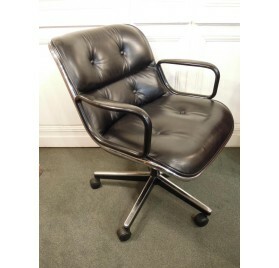 Office Executive Chair model 12E1, design by Charles Pollock (1963)Edited by Knoll in the 70's. 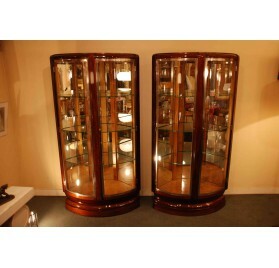 Pair of rosewood corner display cabinets, mahogany, sycamore and birdseye maple.They open with 2 doors and are based on pedestals. 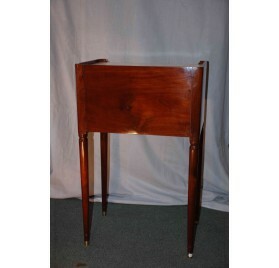 Fund mirrors, rear corner cutaway.Each one has 3 glass shelves.Work of Art Deco period, signed Rinck in Paris. 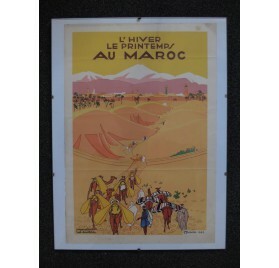 Art Deco poster signed by Derche : "Winter (&) spring in Morocco"2 horizontal folds and in the margin, snags and tasks. 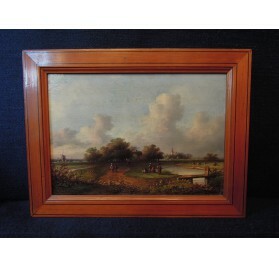 Small oil on panel depicting a countryside.Work nineteenth century Dutch school. 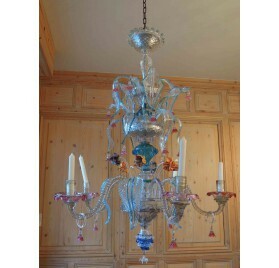 Five branches glass chandelier decorated with flowers, palm leaves and branches.Work at the clip, from Murano.Some accidents. 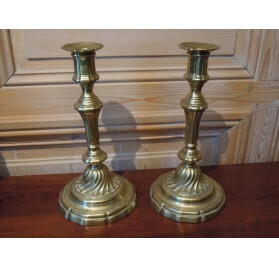 Pair of bronze candlesticks.Work dating from Louis XV era. 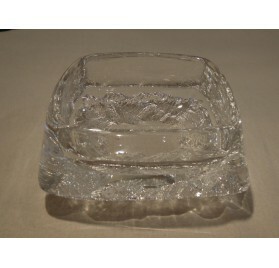 Large cup (ashtray), Daum crystal.In a perfect state. Copyright 2015 Havas Antiquités et Composite Web. All Rights Reserved.